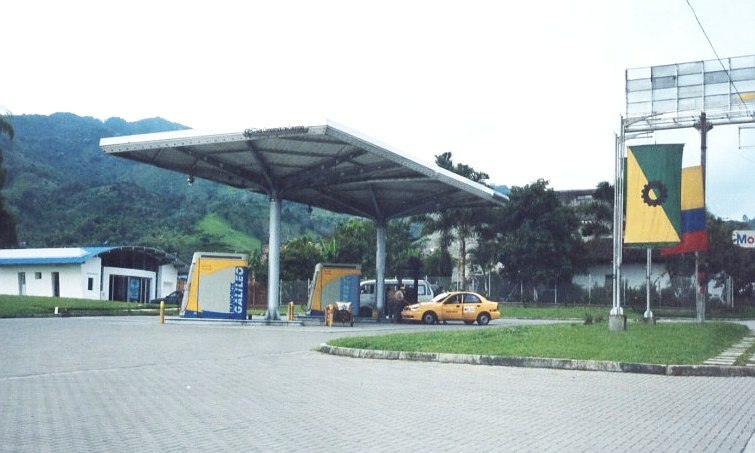 A Galileo Nanobox station found in Colombia. Exact location unknown. Appears to be out of the city. This brand is a lesser-known brand. The light green patch on the hillside is probably a coffee plantation. And yes, that's a Mobil sign off to the right. Photo taken Dec. 2004 by Francia Moncada Mejia. Submitted by J. Eric Freedner.